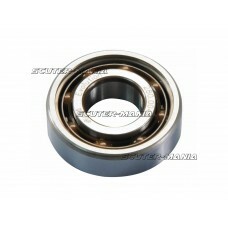 Crankshaft bearings with brass cage suitable for Puch Maxi 2-speed. 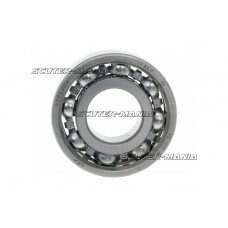 Inside diameter (mm): 20 outer d.. Crankshaft bearings with brass cage suitable for Puch Maxi 2-speed, 3-speed, Puch Maxi 2-speed autom..
Alternator/ clutch side replacement crank bearing with 8 balls from Italy. 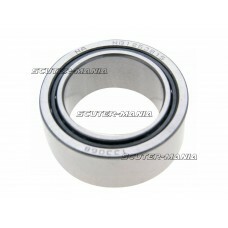 Suitable for 80-200cc 2-s.. 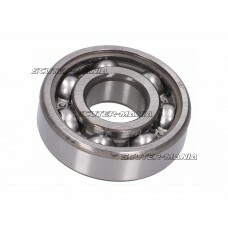 Replacement crank shaft bearings in proven Polini-quality. 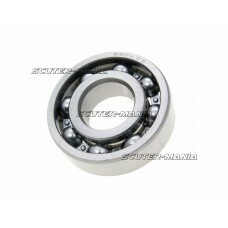 Dimensions: 15x35x11mm material: C4 steel..
High speed ball bearings from Polini for high-end tuned geared mopeds with Minarelli AM6 engines. 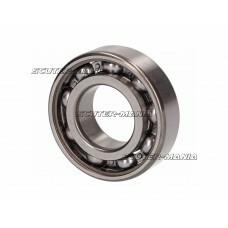 Th..
Polini evolution crankshaft bearing with plastic cage and increased clearance (C4) for use in high-s.. 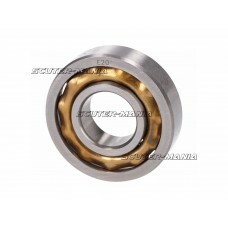 Crankshaft bearings in proven quality for the Polini 100cc Polini Evolution P.R.E. Racing engines fo.. 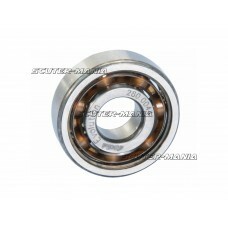 Crankshaft bearings in proven quality from Polini. 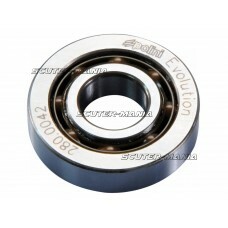 Suitable for the 70cc Polini Evolution P.R.E. 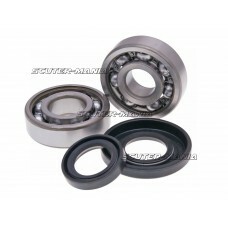 Rac..
Polini Tuning parts & spare parts. For this Polini we have not given product description. 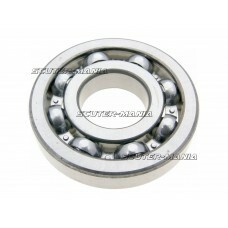 Further pr..
A set of high quality bearings. 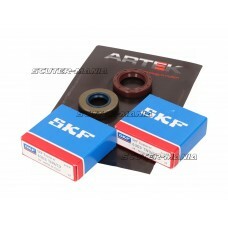 The set contains left and right crankshaft bearings and the correspo..
ARTEK crankshaft bearing sets are high-quality SKF bearings and Corteco oil seals are used.SKF beari..
ARTEK crankshaft bearing sets are high-quality SKF or Nachi bearings and Corteco oil seals.SKF beari.. 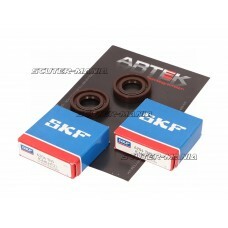 In ARTEK crankshaft bearing sets high-quality SKF bearings and Corteco oil seals are used.SKF bearin..